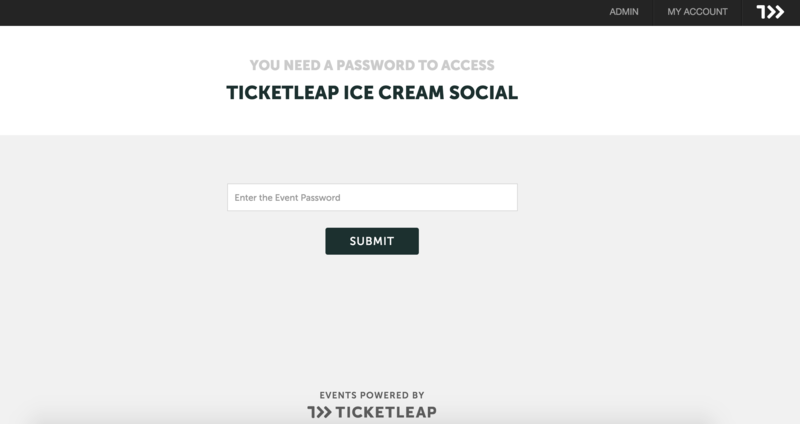 On Ticketleap you have the option to make your event private by protecting it with a password. Only those with access to the password will be able to see your event page. If you don't want anyone to have access to you event page you also have the option to hide your event. To make your event private by applying a password first click the Details tab from the Event Home and then Advanced Event Settings. Scroll down to Password Protect Event Page. Think of a password and type it in the box. 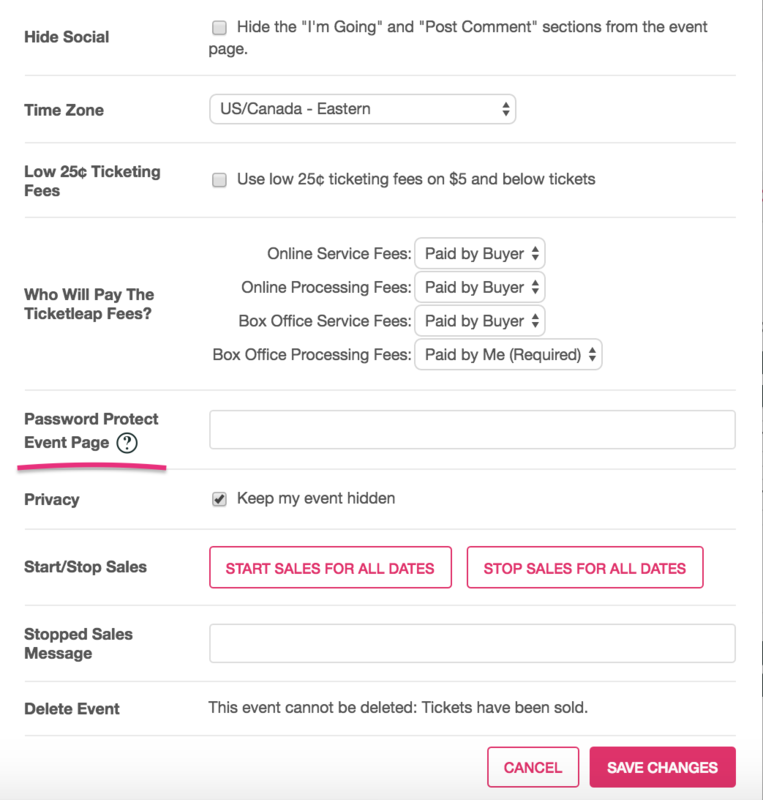 Make it tricky enough that it won't be guessed, but keep in mind you will need to inform your event goers of the password for them to access your event page so it doesn't need to be too complicated. Finally click Save Changes. Once your event goer enters the password and clicks Submit, they will have access your event page.